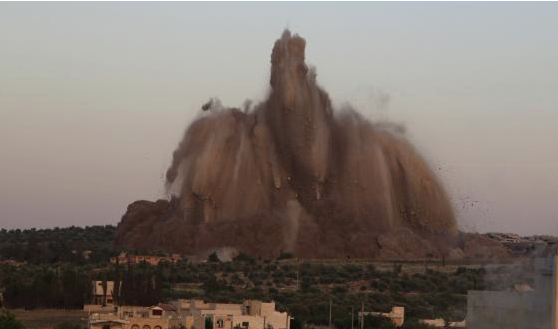 Image of massive tunnel bomb exploding at Syrian army base; courtesy of Reuters (Credit: Khalil Ashawi). Note: We’re revisiting some of our most popular material from the past 10 months for our newer readers; this was originally posted May 21, 2014. Enjoy! The other day I had a valuable email back-and-forth with a professional acquaintance on teaching strategy. We differed on several points, but there was quite a bit of general agreement as well. One point where we were in violent concurrence was on the influence of strategic culture on tactics. I feel that culture has a bit more influence on warfare than my counterpart does – but concede the broad point that different strategic cultures often gravitate toward a particular “best” tactical approach. These similar choices can also be seen beyond culture – they can be seen across time. Thus, even for very junior military officers, it can be useful to entertain the notion that warfare “rhymes.” What follows are three examples, both below and above ground, in which the contemporary operating environment provides links to previous warfighting experience. Image courtesy of the National Park Service. Image courtesy of Wikipedia. On Thursday, May 15, Syrian rebels tunneled 2,800 feet to emplace 60 tons of explosive under a Syrian army base (image at beginning of essay; video available here). 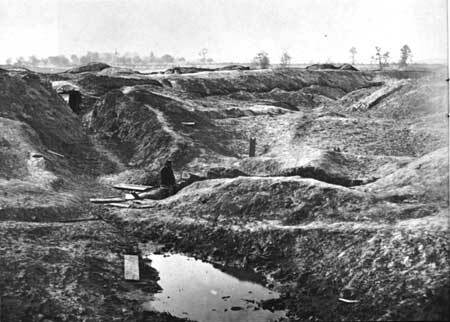 In comparison, the Union effort to break the Confederate lines on July 30, 1864 at what became known as the Battle of the Crater was much smaller. 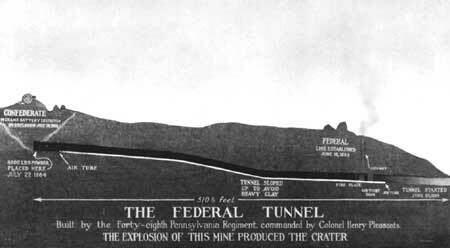 The shaft was just over 500 feet; Union soldiers used approximately 4 tons of explosive. Another difference is that the Union army conducted the detonation in conjunction with an (unsuccessful) offensive, while the Syrian rebels seem to have been content with the massive explosion as a standalone activity. In both cases, the tunneling achieved tactical surprise. In sum, though key characteristics differ, warfare could be said to have “rhymed” in these cases. Image courtesy of Huffington Post and Outpost Films (Image copyright). 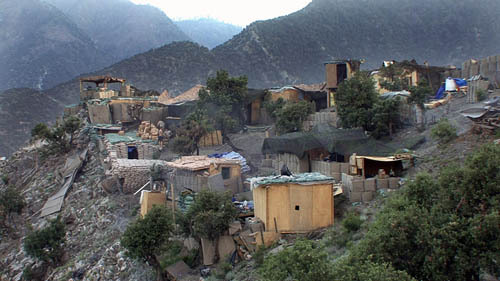 Photo is of Outpost Restrepo, Korengal Valley, Kunar Province, Afghanistan; taken as a film still from the documentary Restrepo, by Tim Heatherington and Sebastian Junger. Image courtesy of Wikipedia. 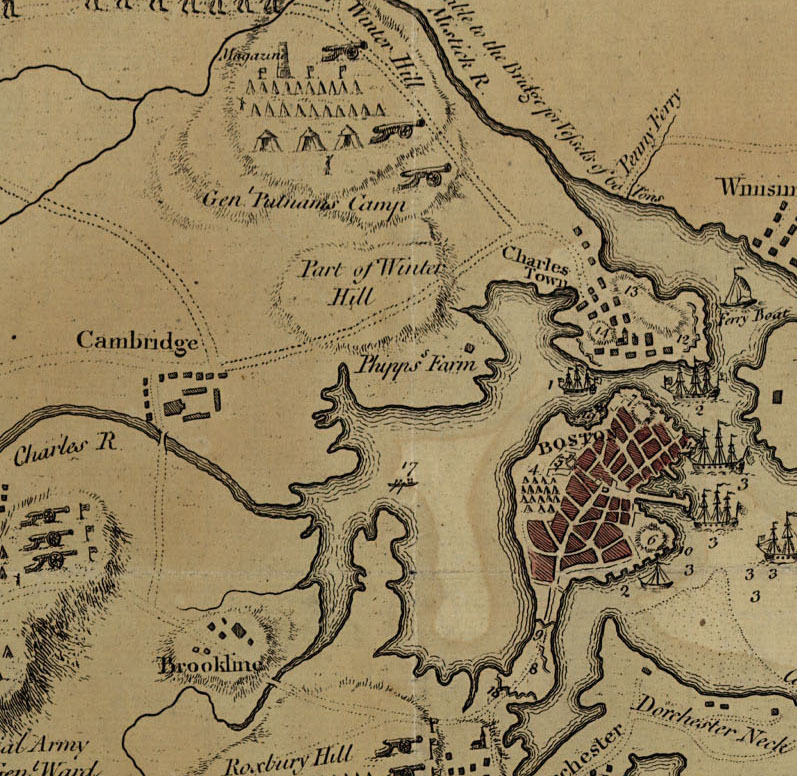 Image is a detail of a 1775 map of Boston, with Dorchester Heights at the bottom right. Compare this experience with General George Washington’s force emplacement on the Dorchester Heights, overlooking the British army and fleet, on the evening of March 4, 1776. Upon receipt of the cannons Henry Knox salvaged from Fort Ticonderoga, Washington sought to gain an advantageous position over the British to end the siege. By approximately 4a.m. on March 5th (symbolic as the sixth anniversary of the Boston Massacre) – the Americans held the key terrain overlooking the harbor. The British were forced to leave on March 17th, 1776 (St. Patrick’s Day) without at fight. Again, one can find differences in these two experiences: platoon level versus thousands of soldiers; small arms outpost versus fortified artillery emplacement; rural versus urban. However, the desire to hold high, advantageous ground over a tactical opponent is much the same – and so we are bound to find examples across time. As Ms. Sullivan concludes, “with the increased importance of video…the many places it can come from, and the fast pace of news, the chances of a perfect [accurate publication] record are low.” In short, ubiquitous video has enabled faster, more graphic war reporting – putting a strain on accuracy. One could almost swap the words of Sullivan’s New York Times and the Civil War-era’s Richmond Enquirer – both project a sense of frustration with the daily journalistic knife fight with balancing speed and accuracy. This was true 150 years ago, remains true today, and will likely continue. There are two lessons one might take from this brief tour of the connections emanating from today’s warfare to yesterday’s historical cases. The first is to pay close attention to both clauses of the paraphrased quotation: “warfare does not repeat itself, but it rhymes.” One should go even farther – warfare never repeats itself – it cannot. The unique circumstances for each time and era are never perfectly replicated. This should throw the cold water of caution on any prediction logic based on historical case study. The context is always changing in war. However, as described, there are characteristics of warfare that continue on – rhyming their way forward through time. To the student of strategy and war, particularly the Profession of Arms, this solidifies the importance of a sense of military history (in proper social and political context). It was clearly useful for Captain “Gus” Pagonis in Vietnam – and that tune will certainly “rhyme” again. Great article. I agree with your assessment. While the particulars of warfare change, the belligerents, weapons, terrain, etc, the form of warfare remains the same.